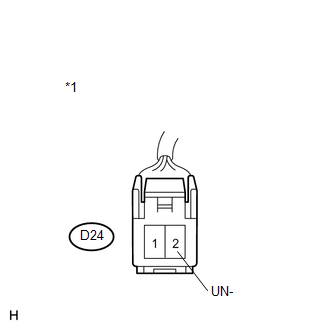 The key unlock warning switch assembly turns on when the ignition key is inserted into the ignition key cylinder and turns off when the ignition key is removed. 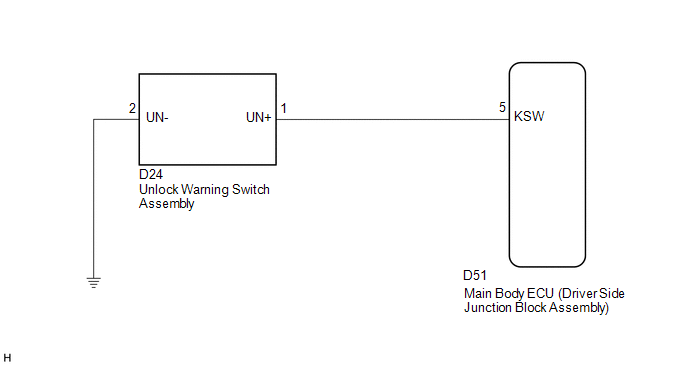 The main body ECU (driver side junction block assembly) operates the key confinement prevention function while the key unlock warning switch assembly is on. (d) Select the item below in the Data List and then read the display on the Techstream. When the key is in the ignition key cylinder, ON appears on the Techstream. 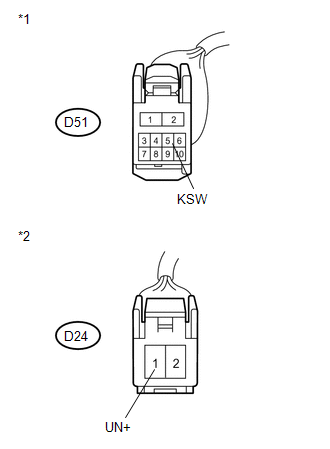 (a) Remove the unlock warning switch assembly (See page ). 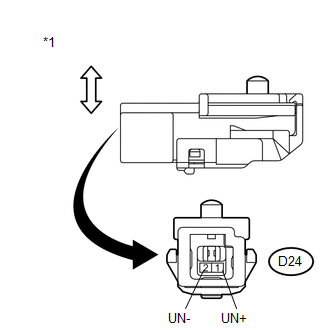 (a) Disconnect the D24 unlock warning switch assembly connector. (a) Disconnect the D51 main body ECU (driver side junction block assembly) connector.